So let’s be honest: Sleepless nights don’t leave much time for making meals. That’s why the Chick-fil-A location at Holcombe & Buffalo Speedway in Houston is taking care of the first meal at home for families with new babies. Franchise Operator Juli Salvagio and her team have provided meals to more than 100 families after they leave the hospital through the restaurant’s unique “New Moms” program – taking one thing off parents’ plates by putting food on their tables. “It was so much food – enough for lunch and dinner, and dinner again,” says Brandy Dorrell, who received the New Mom meal last September after having her baby boy, Bruce. 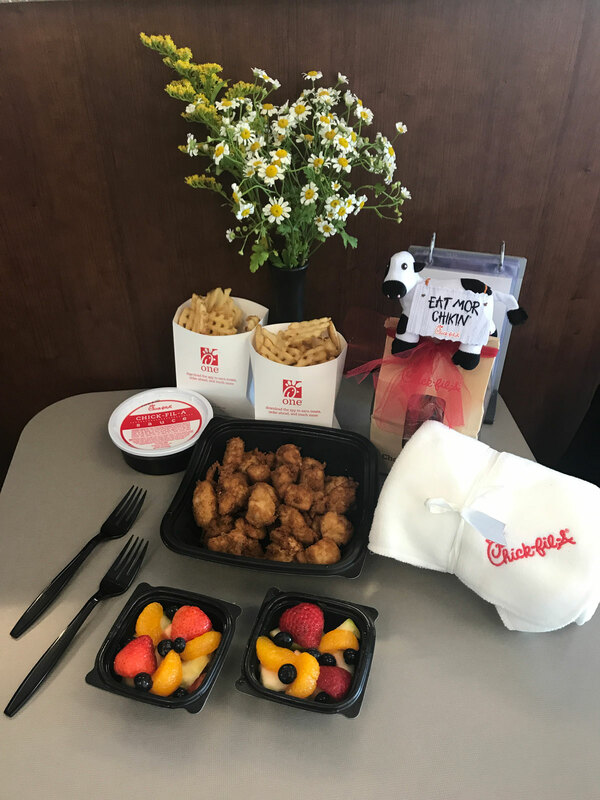 Salvagio – a mom of three kids – has been finding ways to support new moms for almost 10 years, handing out mini stuffed Chick-fil-A “Eat Mor Chikin” cows and baby blankets whenever she learned a family in the restaurant had welcomed a new addition. New parents frequently come in after leaving the hospital as her restaurant is just down the street from a medical center. The New Mom meals have even led to some of Chick-fil-A’s littlest fans.